Make a critical stand for the environment and let the community know with this Board Resolution Adopting an Environmental Policy Template. 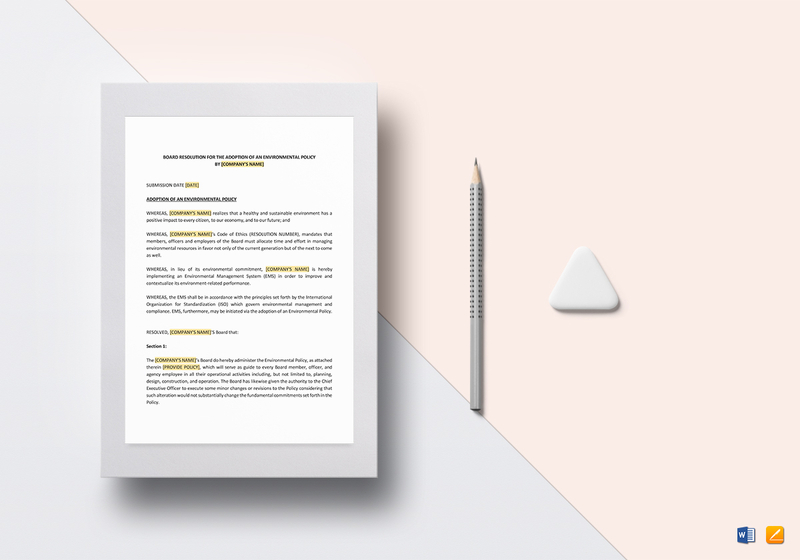 Create an effective policy by downloading this fully customizable template now which includes standard business fonts in A4 and US letter sizes. 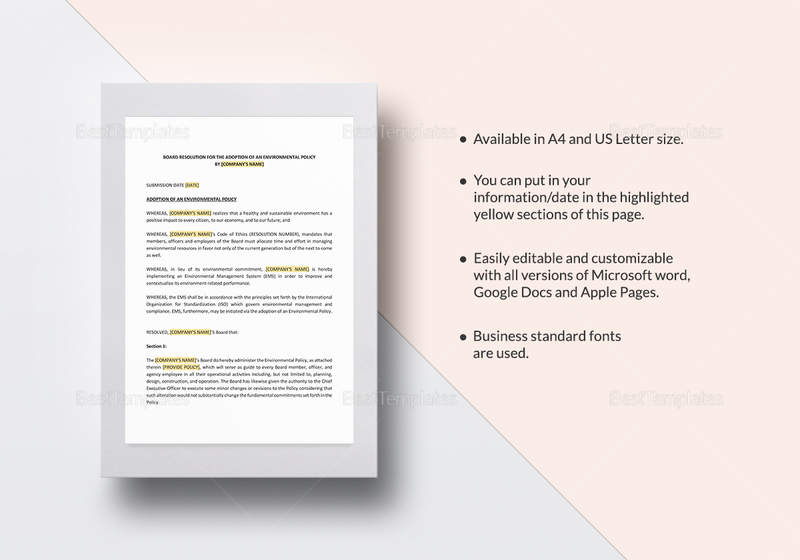 Edit using any app supporting MS Word or Pages file formats and simply replace the yellow highlighted sections with your information.